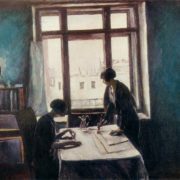 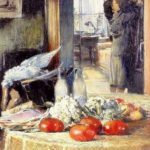 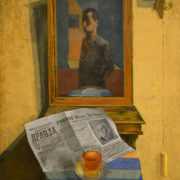 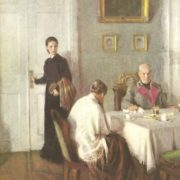 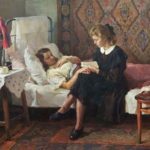 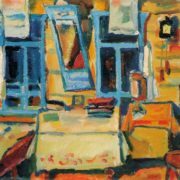 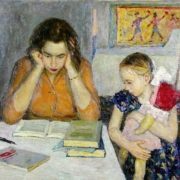 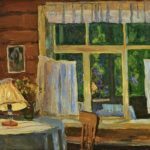 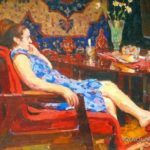 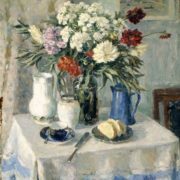 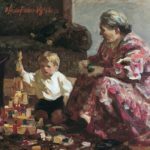 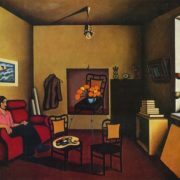 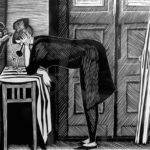 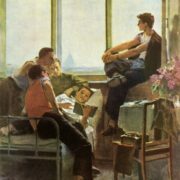 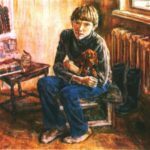 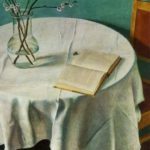 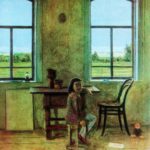 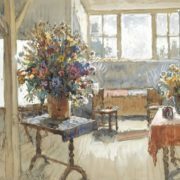 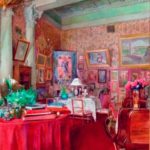 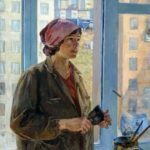 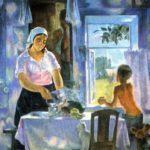 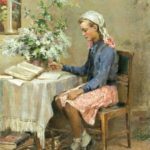 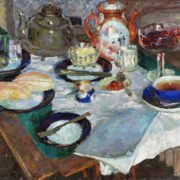 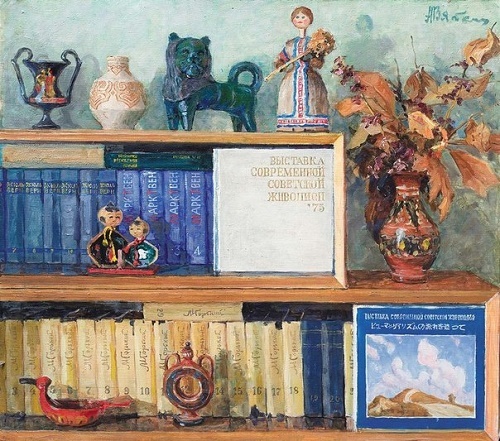 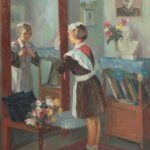 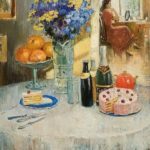 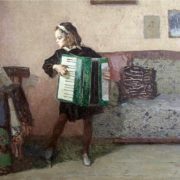 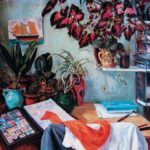 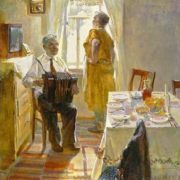 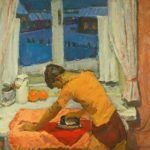 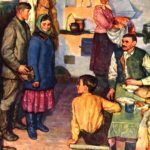 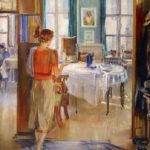 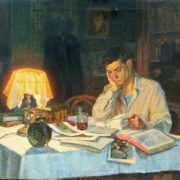 Soviet era interior and way of life of the fifties-eighties of the 20th century, depicted in the paintings of Soviet artists, like magic window, show our Soviet past. 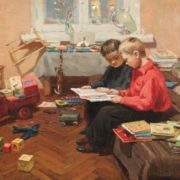 Our memory will forever cherish the atmosphere, life, and details of the house where we were born, spent our childhood and youth. 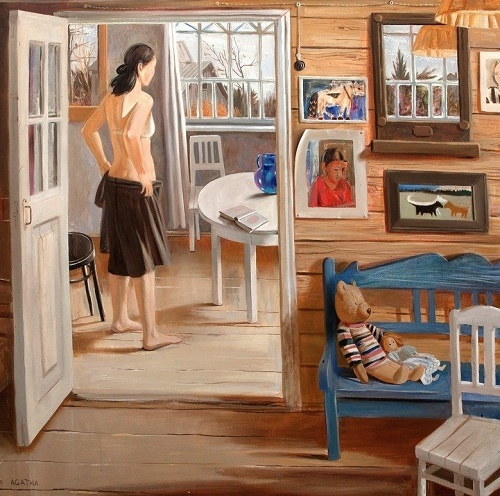 Rooms of our grandparents, our parents’ apartment, favorite garden (dacha), where summer was eternal and we wanted to laugh from the children’s happiness. 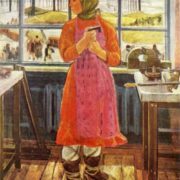 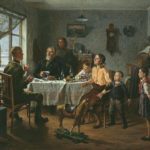 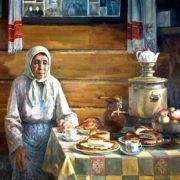 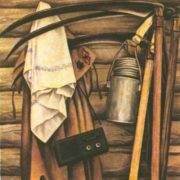 For born in the USSR, they are unforgettable images of native homes, where there was always light, comfort, and hospitality. 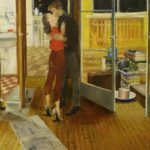 To this house you always want to come back.